Since the beginning of human history, people have depended on the natural resources of Earth for the basics of survival: food, water, energy, and shelter. As civilizations advanced, their needs became greater and their impact on the natural world grew more intrusive. Teen Guides to Environmental Science presents a comprehensive look at the current state of our environment and what needs to be done to repair the damage and move toward a sustainable society. 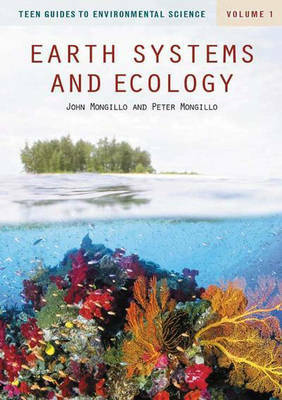 Beginning in Volume 1 with an explanation of the earth's systems and its ecology, the authors then present an in-depth look at each of the land and water biomes and their climates. Volume 2 covers land, water, and energy resources. Volume 3 is devoted to the history of the human population in both agricultural and industrial societies, food supply, energy requirements, economics, communication, transportation, and technology. Volume 4 examines the human impact on the environment, including air and water pollution, soil erosion and deforestation, the impact on wildlife, and the problems of disease and toxic wastes. Finally, Volume 5 discusses how the environment, the economy, and social concerns must all be taken into consideration to create a sustainable environment. More than 500 images, timelines, lists of environmental organizations and agencies, and over 100 suggested activities for students provide further information on one of the most important and debated topics of the 21st century.